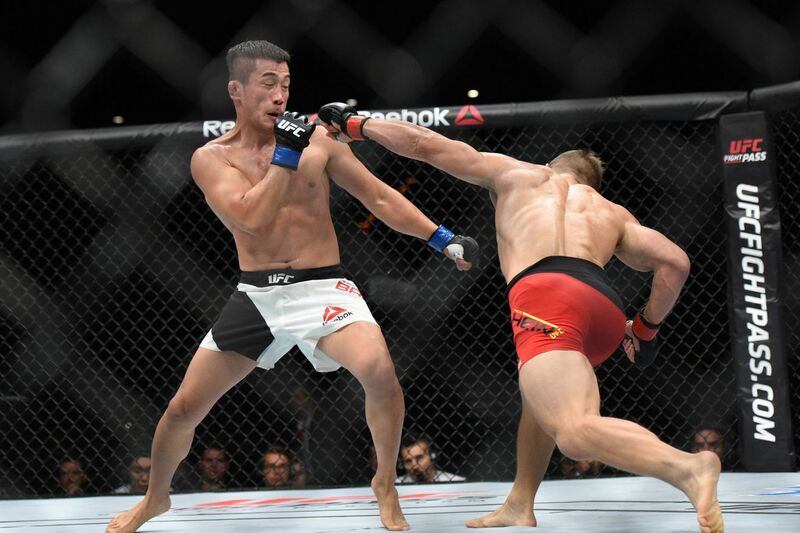 Former Ultimate Fighting Championship (UFC) lightweight Tae Hyun Bang went from slight underdog to massive favorite against Leo Kuntz on the UFC Fight Night 79 “Prelims” card in late 2015 in South Korea — all within the span of two hours. No, it was not a coincidence. Bang was indicted by the Seoul Central District Prosecutors’ Office on Monday for accepting a bribe of $87,950, according to Korea Herald, alongside a handful of accomplices including mixed martial arts (MMA) veteran Dae-Won Kim. Things didn’t go according to plan after the cage door closed and Bang reportedly had a change of heart (read his statement here). That led to a split-decision win for the local product and a boatload of lost wages for the folks who bet on Kuntz. The 34-year-old “Korean Cowboy,” who will face trial without detention, has not competed since a unanimous decision loss to Nick Hein at the UFC Fight Night 93 event in late 2016.